Brighter futures start here. BrightView takes pride in providing consistent, high-quality landscape services with a dependable service commitment. As the nation’s leading landscape services company, BrightView provides, through its team of more than 18,000 employees, services ranging from landscape maintenance and enhancements to tree care and landscape development for thousands of customers’ properties, including corporate and commercial properties, HOAs, public parks, hotels and resorts, hospitals and other healthcare facilities, educational institutions, restaurants and retail, and golf courses, among others. 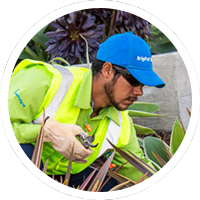 BrightView takes care of its employees, customers, and communities while delivering exceptional landscapes that positively impact millions of lives every day. Daily cleaning and stocking of restrooms. May include applying irrigation to golf course as directed by a supervisor.